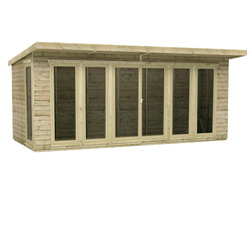 Our elite pressure-treated summerhouses are perfect for those looking for a great warm weather getaway with a long life expectancy. 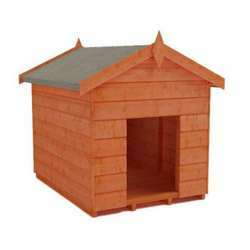 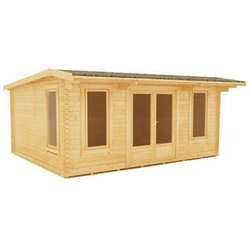 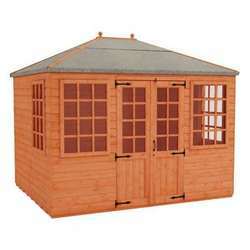 Suitable for a wide range of uses, our summer houses are great for relaxing in the sun, using as a hobby space or simply storing items you want out of the way. 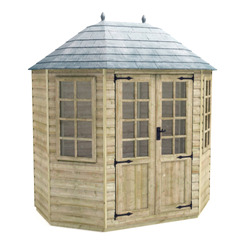 Available in a selection of sizes and fully customisable, our pressure-treated summerhouses are the perfect solution for every garden, regardless of size. 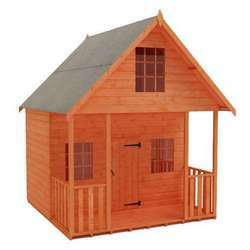 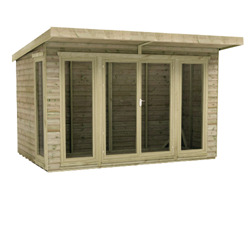 All of our products are made to our exceptionally high standards, using the finest timber available. 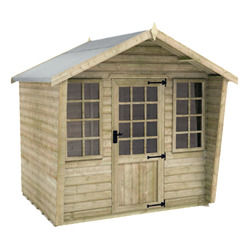 The heavy duty framing and extra thick tanalised cladding make the Pressure Treated Summerhouse a premium product comparable to no other. 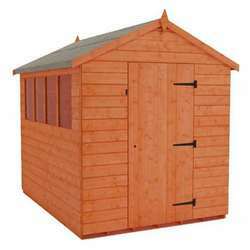 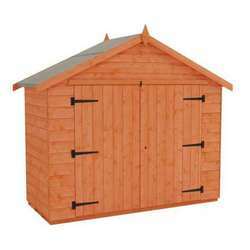 With an even longer life-span than the Tongue and Groove Summerhouses – and a fifteen-year guarantee – you can enjoy the summer weather year after year, worry free.